Have you been considering getting a divorce from your "not so better" half? 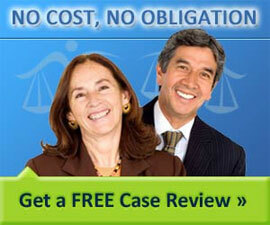 With divorce comes the problem of assessing how much alimony you are liable to pay or how much you are supposed to get. For the residents of New Jersey, there are no alimony calculators or guidelines for support, since the decision is taken by the court. Thus, it is important to spend a few hours trying to understand of the types of alimony as well as what the court considers when making its decision. In fact, once the alimony has been determined by the court, making modifications to the same may be a long and complex process. Modifications would depend on the type of alimony as well as the presence of any conditions restricting modification will need to be considered. Before we get to that, it is essential to know that a marriage can be dissolved in New Jersey only if both the parties have been living in the state for at least a year before filing for divorce. Moreover, knowing the facts is merely the first step. In order to leverage them to the best of your advantage, it is a good idea to seek answers from an experienced divorce attorney of an acclaimed law firm. This is based on financial need and lasts as long as a person becomes self-supporting. This is applicable in case one of the partners had to forego opportunities to advance his/her career or education in order to take care of the family. This could also be applicable if one partner's career suffered so that the other could further his career. Moreover, this type of alimony is applicable only for the annulment of long marriages. This is given to support one of the partners to get back into a stable career. One needs to submit in court the timeframe, period of employment and steps to be taken during the rehabilitation period. This provides compensation to the spouse who supported his/her partner through advanced education and was expected to gain from the fruits of labor but cannot due to legal separation. An established divorce attorney in New Jersey would be able to help you become aware of what the formalities are and also to set the terms in your favor.